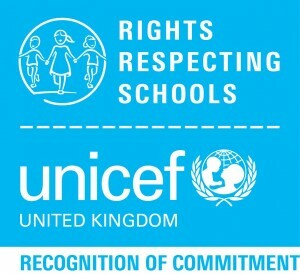 Garretts Green Nursery School is a Rights Respecting School. We are committed to upholding UNICEF’s Rights of the Child Charter. Working together to welcome, care, include, inspire and motivate to learn. Offers a happy, safe, secure and nurturing environment where children and adults are partners in life-long learning. Allows children’s interests to be captured through play, enjoyment, active participation and the use of new and developing technologies. 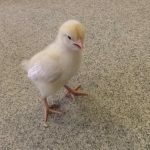 Promotes the development of a range of communication, mathematical and scientific enquiry skills that enable children to live life to the full now and in the future. Encourages a healthy life, the development of physical skills, exercise and healthy eating. Promotes care and compassion and develops self-esteem, well-being, independence and self-reliance. 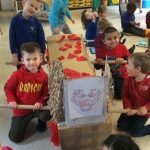 Has a shared commitment to practice based on what children can do, personalised learning, and child-centred experiences. Respects adults and children in the setting and wider community, promotes equality and celebrates diversity. Values the contribution of families in our learning community and offers support and guidance. Promotes care for the environment and develops a sense of citizenship. Ensures that high aspirations, expectations and a positive attitude empower learners to achieve their goals and reach their full potential. Motivates and inspires staff, parents, children, governors and the wider community to work in partnership. Ensures that our shared values of justice, equality, respect and compassion underpin our policies and practice. Strives constantly to improve achievement and to be reflective, self-critical and willing to challenge our own thinking. Shares an ambitious and challenging vision, informed by current thinking and ideas, planning for, and responding to trends that impact upon us. Shares the responsibility for driving forward the vision for the setting, ensuring that Garretts Green Nursery School is a vibrant, caring, community aware of its strengths and how it can develop. Is a community whose vision underpins sustained improvement and shapes our future.